The Kimberley is a great place to live. Ask anyone who lives there. There are hundreds of city expats who find themselves in the region for “three months” and wind up sitting on their porch drinking a mango smoothie five years later, wondering how it happened. 1. All of the great food on offer. We are blessed to have the Ord River Irrigation Scheme on our doorstop, which produces mangoes, melons, pumpkins, chickpeas, chia, borlotti beans and plenty more. 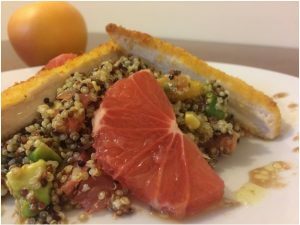 While Ord feeds Australia and parts of the world, it also feeds locals with fresh produce popping up across restaurants Kimberley-wide. There’s also delicious Cone Bay and Wyndham barramundi, which is used at local restaurants. Forget about sitting bumper-to-bumper on a busy freeway or stopping several times at traffic lights just on your way to work or to pick up milk. There’s just one set of traffic lights in Kununurra, at the Diversion Dam bridge, and either side of you is a glorious, scenic lake. Most daily commutes are two-minutes of less and you’re bound to be given the quintessential Kimberley “two finger driving wave” several times during your journey. 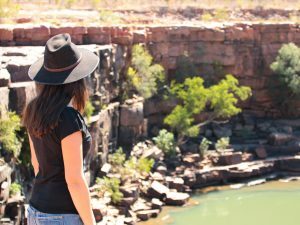 Living and breathing the Kimberley lifestyle instils a relaxed vibe and positive nature into those that call the region home. 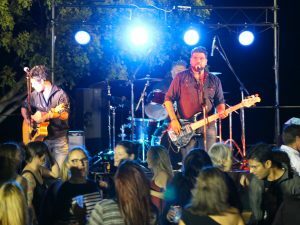 From the moment you leave your studio apartments Kununurra, you’ll find people are willing to help you find your way or point you in the direction of the coldest beer. No matter the weather, the sunsets are always spectacular in Kununurra. What better way to end a day than by admiring the glowing reds, vibrant purples or spectacular pinks and oranges of a Kimberley sunset. You could try a new spot every day for a week and only experience a taste of the best sunset-watching locations in Kununurra. Ask our friendly staff for their recommendations. Perfect for days when you don’t want to share your patch of dirt, or waterfall, with hundreds of others. 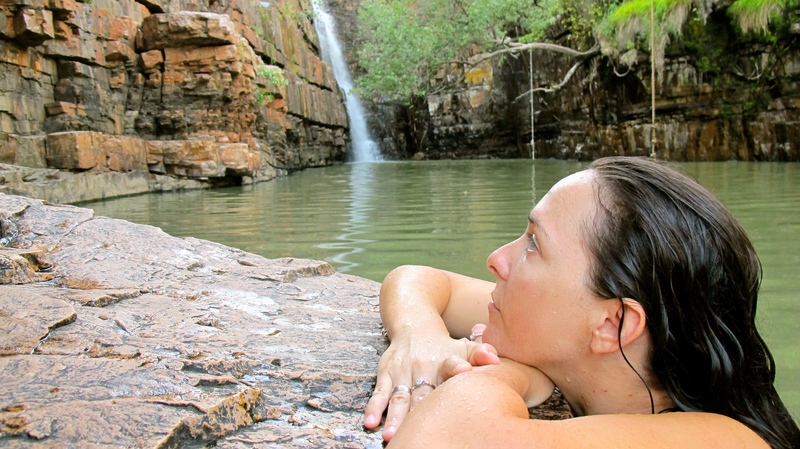 The Kimberley has, hands-down, some of the nation’s most beautiful swimming locations. Don’t believe us? 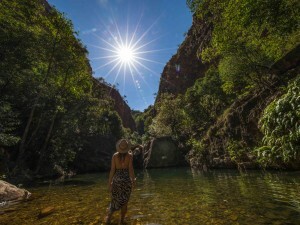 Try Emma Gorge, The Grotto, Lake Argyle, Mitchell Falls, Black Rock Falls, or the swimming pool closest to your apartment studio Kununurra.